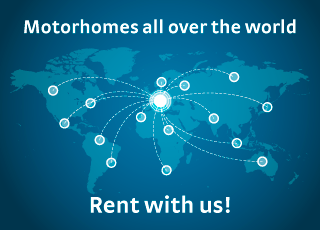 MOTORHOMES ALL OVER THE WORLD, RENT WITH US! Come and visit our showroom and you will find a whole range of vehicles to satisfy all your needs. You can see and touch for yourself the high quality of our vehicles. Advice and useful information for your journey.